Are you a small business owner looking for cheap and easy ways of creating a professional website? Look no further! These 20 best website builders for small business websites are just what you need. They offer you the possibility of creating a presentation website from scratch, without the help of a specialist and with no coding skills required. Website builders will offer you a fully functional and feature-rich interface which you can use to construct your website design. Choose a template, adjust the layout, add your own texts and photos and customize its appearance to fit your branding, and you’re done! It’s that simple! Usually, website builders come with hosting included, so basically you have a pack with everything you need to launch your website in just one day! Website builders are suitable for everyone. You don’t need to have any design skills or purchase any design software. These builders come with ready-made styles and layouts which can be easily customized to suit your needs. Browse through this list, and choose the right website builder for you and your business! WIX will help you create a free website in just a few steps, no coding skills needed. Choose a design, customize it and launch it in a few hours! This service has both free and premium plans. This website builder lets you create a website using ready-made styles and layouts, no design or coding skills required. This is one of the easiest, the simplest and the fastest free website builder out there. There is no need to even drag and drop anything! This is one of the features that makes this service truly unique. Find out why over 15,000 restaurants worldwide use Let’s Eat! This website builder offers everything you need to create a quality restaurant website. The great thing is that they also take care of hosting. This website builder lets you create a personalized website using a drag-and-drop editor that significantly cuts down on development time. It’s free and used by millions of people. This is a website builder specifically targeted to fundraising businesses. This is perfect for Medical, Memorial, Marathon, Wedding, Animal Fundraising and more! They offer a quick and easy solutions for creating a fundraising page. Squarespace lets you create a beautiful website in just minutes. You can start your free trial today, no credit card required. It offers an all-in-one solution for creating websites and also offers domains, eCommerce solutions, hosting, analytics, and 24/7 support. Webs does a good job of making it easy to build a good-looking, customized site through a completely browser-based interface. You can create a website with their professionally designed templates and easy to use free website builder. Make a free website with this free website builder and start getting leads, booking appointments and selling online. They offer free hosting and a free website address. Get your business on Google, Yahoo & Bing today. This website builder is effortless and full of useful features. Webnode is free, fast and extremely easy to use! This website builder lets you create a free website or online shop with Moonfruit’s free website builder. No coding skills needed and hosting included. 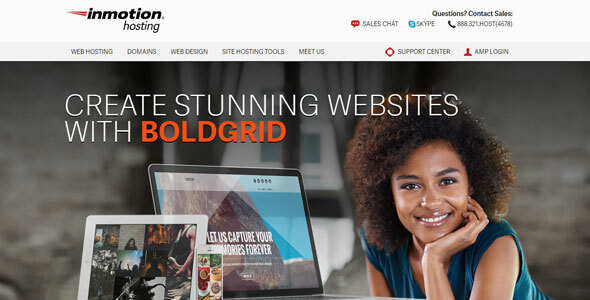 BoldGrid is a website builder that comes with a free domain for your website/business. What’s unique about it is that it is based on WordPress, giving you access to thousands of WordPress based templates and plug-ins. Also, you have 100% ownership of your site independent of any website building software. Weebly makes it surprisingly easy to create a high-quality website, blog or online store. You don’t need to learn how to code, with Weebly’s drag and drop website builder, it’s easy to make your own website. With Jimdo’s you can create your website in just a few clicks. You can edit the website at any time and optimize it for search engines without needing to know how to code. No need to install! Sign up and get instant access to your site. This website builder allows you to easily create your beautiful website that supports all browsers and devices. Choose a custom domain for your brand new website, browse over 10,000 pre-made templates, customize and add content and your new site is ready to go live on the web! This website builder gives you all the tools you need to create your website. Use the drag-and-drop interface to add your content and images into your chosen template and build your dream site. With Website Builder, owning a domain name and website is easy! It also offers free, easy to use, tools to give your website a boost in search engine rankings. This website builder comes with an easy to use drag and drop website builder and includes hosting, domain name, and design tools. Emyspot is an online website builder and CMS designed for everyone. You can use it to create a website, blog, online store or anything else. WebDo is a website builder with a WYSIWYG interface which besides helping you build websites from scratch, also helps web designers and developers create web applications. 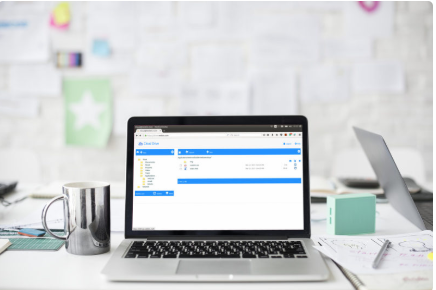 It also offers a hosting cloud web solution via a simple control panel, web email accounts and databases and API integration. Breezi is easier to use and update changes.